Thanks for stopping by Cinnamon! Yeah, we think he's pretty cute too. Yaxley prefers "doggedly handsome", but he's just weird that way. Thanks, Dawn. I admit it, sometimes I choose bananas by their stickers. And you use Wordpress, don't you? There's a couple or so things I'd like to change on the blogger platform. Nothing too fancy. But spell check in the post titles would be handy feature. Hello, Blogger people . . . ? How y'all doin'? Just stopped by to meet y'all. Hey-ya Hawk. Thanks for stopping by. We saw the notice on your page about the beautiful dog needing a special home. We wish you all the best in helping this beauty out. Awww...I need a banana sticker for my dogs. Love the picture! I do love me some Chiquita stickers. Somewhere in this blog is Micron wearing a "100% Perfection" sticker between the eyes. 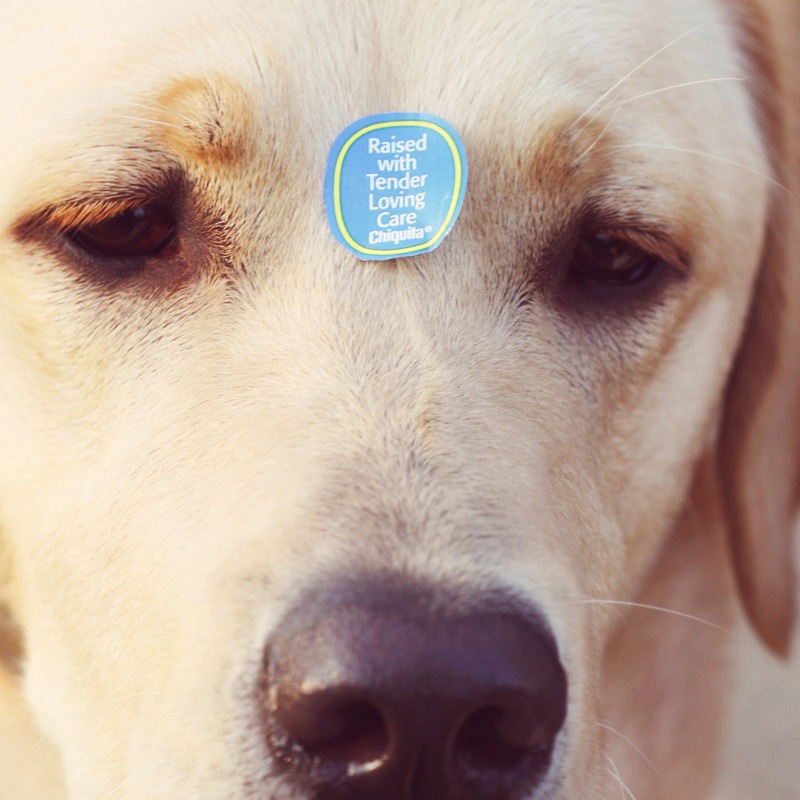 And another of our professional victim dog, Jager, sporting one that says "I taste good naturally". Jager's helped to raise three CCI puppies so far and has been the best chew toy ever.